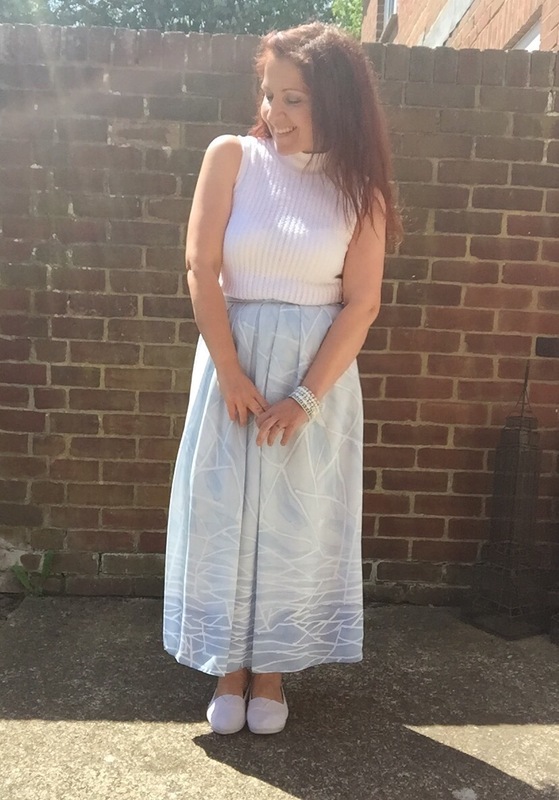 The other day I bought a fantastic water inspired print skirt amongst a few other vintage items. 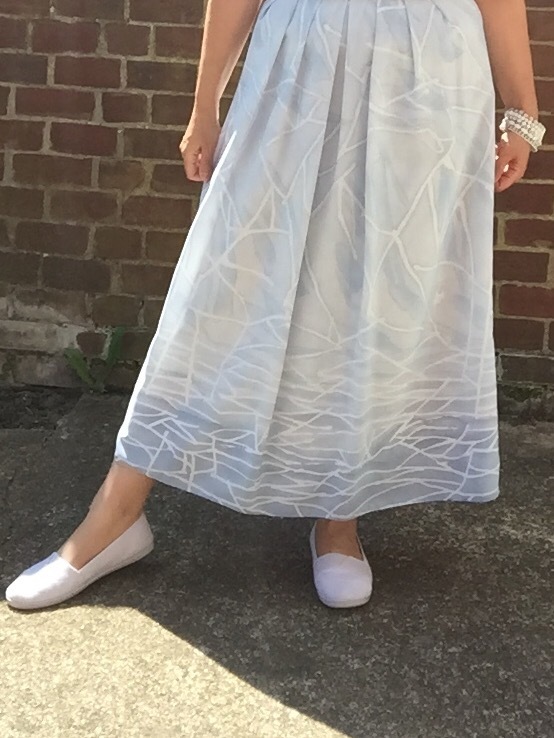 It was so unique and although longer than I normally wear has a great prom style flare to it from the waist. 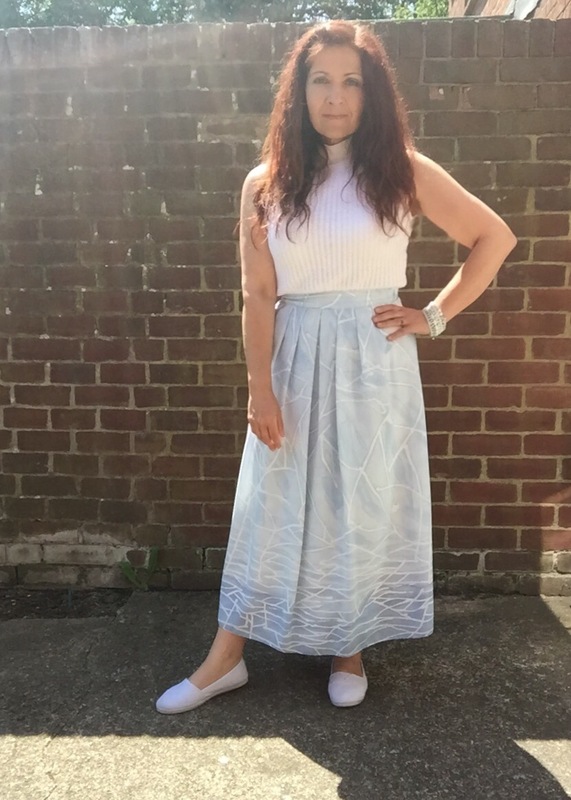 As ever with vintage its a pretty small fit – this was sized as a 12 but only just fits me. Thats a real tip with vintage – ignore the size in it and just try it on. I teamed it with a vintage St Michael knitted turtle neck top (remember when M&S clothing was called that? 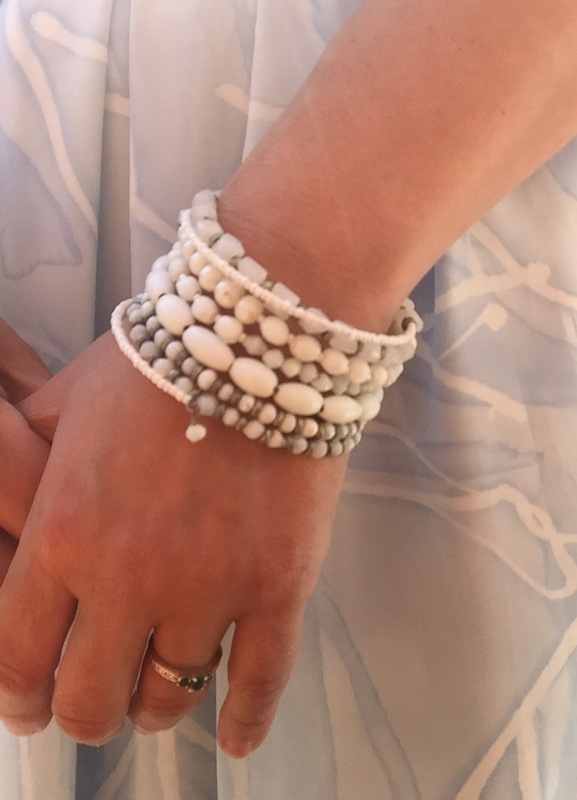 ), a white beaded bracelet and white pumps for a fresh summery look. 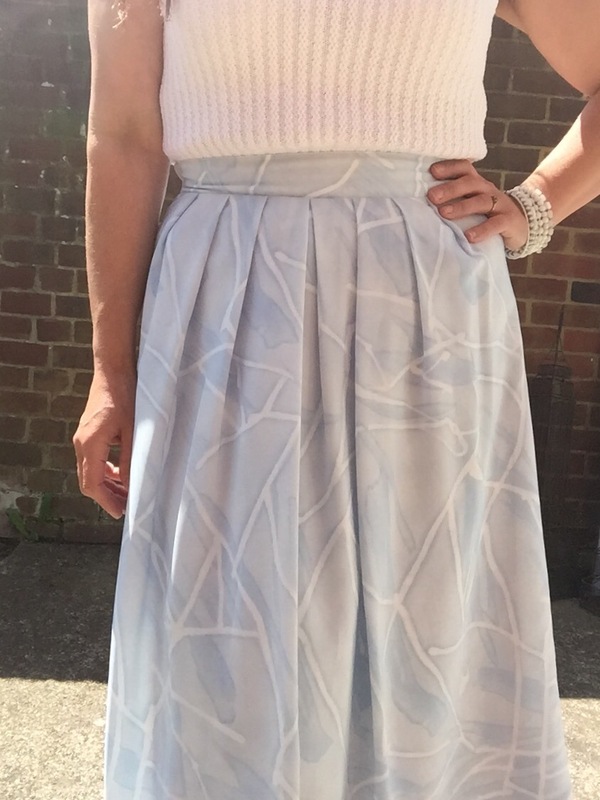 The delicate print to this skirt is just lovely and very unique. I love how the pattern graduates down to the hemline. The wide waistband is flattering, as are the box pleats on the front. Vintage is still doing it for me…how about you? Get into those charity and vintage shops now and have a rummage! Remember – ignore the size in the item, check for any wear or stains and alter it if you need to. 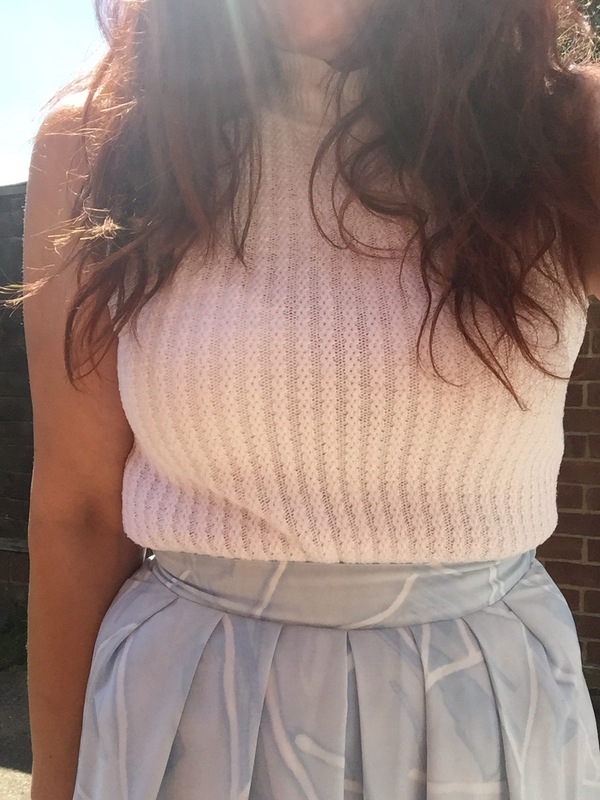 Plus at the same time you are helping the enviroment, looking unique AND saving lots of money – this gorgeous skirt only cost me £2! Have a great day dressing up in the sunshine.